Mario is one of the most iconic video game characters of all time, and has starred in fantastic video games such as 2013’s Super Mario 3D World, the superb Super Mario Galaxy 2 and the more recent mobile incarnation Super Mario Run. The latter was Nintendo’s first Mario game for smartphones, and no doubt both pundits and video game fans expected great things from this first Mario outing on mobiles. 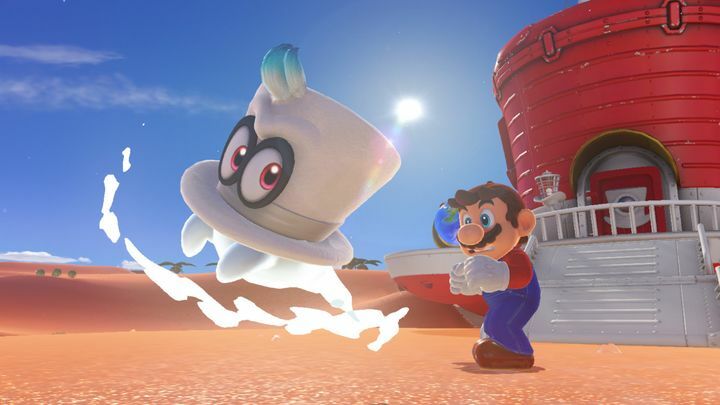 Things were not like this, though, and Nintendo recently revealed in an investor briefing that the game did not perform as well as expected, not making as much money as the Japanese company had hoped as reported by GameSpot. Unlike the company’s other games Fire Emblem Heroes and Miitomo, which are available for free and make money from microtransactions, Super Mario Run lets you play the initial levels for free, but Nintendo charges $10 US dollars to unlock the remaining courses. However, according to the company, only a small fraction of users paid to unlock these, meaning Super Mario Run did not generate as much business as Nintendo was hoping. Nonetheless, the company stated that “we have been able to learn a lot”, even though it had reached the conclusion that neither business model could be considered superior. But still, it’s nonetheless impressive that Super Mario Run has been downloaded a whopping 150 million times, showing that gamers have welcomed Mario’s first game on mobiles with open arms. And does the fact Super Mario Run was not such a great cash machine on smartphones mean Nintendo might be gearing up to release Mario games on other platforms such as PC? After all, the company had previously said it would not be putting out games on mobile devices, only to end up bowing to fan pressure and releasing its games on smartphones in the end. But don’t hold your breath for Mario on PC anytime soon, though. This is because while Nintendo’s president Tatsumi Kimishima recognises the popularity of PC gaming, he still dashed any hopes that Mario or any other Nintendo characters would be making it to PC in the company’s latest Annual General Meeting. “We believe that the integrated hardware-software business is the best way for us to provide the surprises and new gameplay experiences that we want to achieve”, said Kimishima. “We can further expand our core integrated hardware-software business by providing our software on smart devices and increasing the number of consumers who experience our IP”, added Nintendo’s president. So, this means that those looking to play a Mario game will have to do so on their smartphones or on Nintendo’s other consoles such as the Wii U, 3DS or Nintendo Switch, with the latter having become a big success since its launch last March. Actually, one of the most eagerly awaited games of 2017 is the Switch’s Super Mario Odyssey, the latest game to feature the iconic plumber which will be hitting shelves in October this year.